me with two of my best friends. Its been a long time since I posted anything to this blog. The last time I was here was about a year ago after my mother’s death. My head was in a fog for several months and at the same time, I had more work than ever before in my life, all while trying to stay healthy and pursue some creativity and self-care. And so a year has flow by and there just wasn’t time or energy for this blog. But I am back now and I hope to try to post something here around once a month. I feel like a different person than I was a year ago. Part of that is the internal changes that come from turning 50 and then experiencing my mother’s death. I am much more keenly aware of my own mortality. There will not be enough time in life to pursue all the dreams I’ve already dreamed, let alone the new interests that will emerge in the coming years. I feel a need to prioritize like never before. I need to make time for what I truly love. In response to this new prioritizing, I have changed the name of this post to reflect what I am living most connected to personally and professionally. I completed my training as a certified clinical musician in 2013. During my training, I began playing harp at the bedsides of hospice patients, adding that to the harp music I was already providing for cancer patients in outpatient infusion and inpatient treatment settings. I had expected that I would play the harp for my mother, who planned to move back to Indianapolis this year, but she was, as usual, in a hurry and didn’t stick around long enough for me to share the bedside harp experience with her. It was shortly after her death that I played for my first hospice patient. So, from the beginning of 2013, I have been learning about death and how each person’s dying is utterly unique. It has been a profound learning. Part of why I hesitated all last year to add to this blog is because I did not have the words to speak about these experiences of dying. I still don’t. I have just given myself permission to say things imperfectly or not at all. To say what I can, however it comes out. 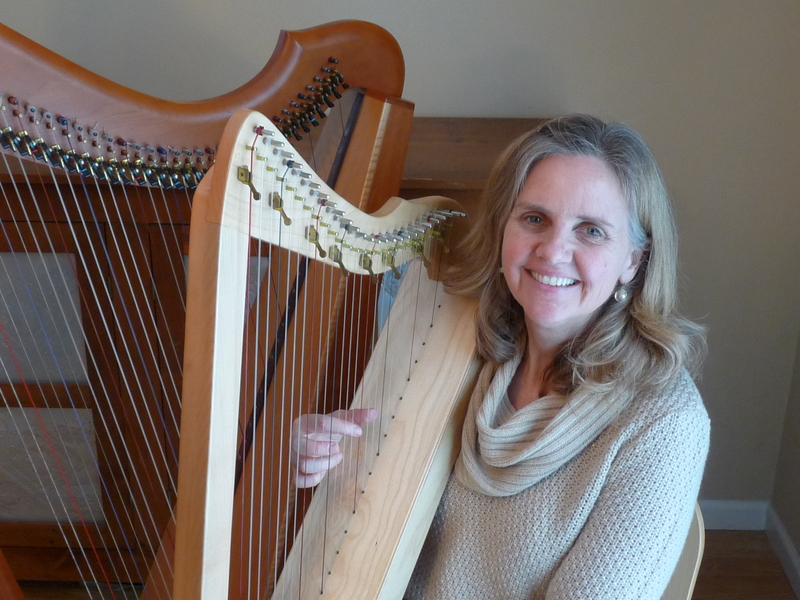 And now that I am hear, I am thrilled to also be called to mentor other harpists taking the same journey, as part of the team of mentors in the Harp for Healing program. Since starting to play the harp at IU Simon Cancer Center, three people I’ve met there have purchased Harpsicle Harps like mine, so I feel I’ve already been a mentor in this way and I am looking forward to continuing to help others who love the harp. I have also continued to deep my love of poetry. 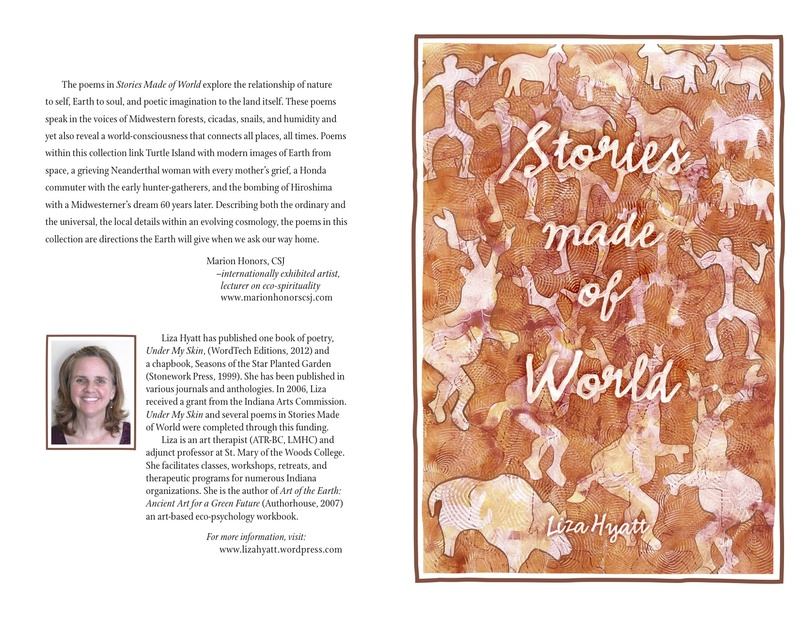 My chapbook, Stories Made of World, was published last October by Finishing line press. ( https://finishinglinepress.com/product_info.php?products_id=1788) I am really proud of this chapbook and the eco-poetic voice with which these poems speak is something I hope to be able to connect with for the rest of my life. Speaking of that desire, I have taken the day off today, to spend some time with poetry and self-care. So, I am going to finish this post for now. I will return later. You are currently browsing the Expressive Art Therapy and Dreamwork with Liza Hyatt weblog archives for February 2014.